After months and months of waiting, it finally begins: the Overwatch League starts today. The preseason kicks off with Florida Mayhem vs. San Francisco Shock at the Blizzard Arena in Los Angeles, and we’ve got an episode of Overwatch This dedicated to the big day. What’s going on with your favourite shooter? 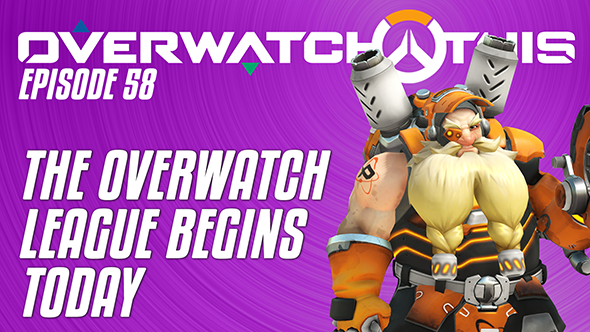 Check out what’s next in our Overwatch update guide. This week’s Overwatch This sees Ben and Matt discuss the Overwatch League’s preseason plans, plus some of the worries we still have. The first game is just hours away, but we still don’t know what platform will be hosting it. Will it be Twitch, or do Blizzard have a different idea? Plus there’s already trouble, with Philadelphia Fusion being knocked out of their first match due to player logistics. All the details and more are in this week’s episode. If you enjoy Overwatch This, you can watch a new episode every Wednesday by subscribing to PCGamesN on YouTube. Why not give us a Like while you’re over there, too?